2 Bedroom Flat For Sale in York for £165,000. Occupying the whole of the top floor with only one other adjoining property this extremely large and well presented first floor maisonette has its own private entrance, driveway and a garage, situated in a popular development to the North of the city centre. The apartment benefits from gas central heating and double glazed windows with stairs leading up to the large open plan living space including a modern fitted kitchen and dual aspect front and rear views. An inner hallway provides two large storage cupboards and loft access to the very large loft space, two double bedrooms and a modern white three piece bathroom with shower over bath. 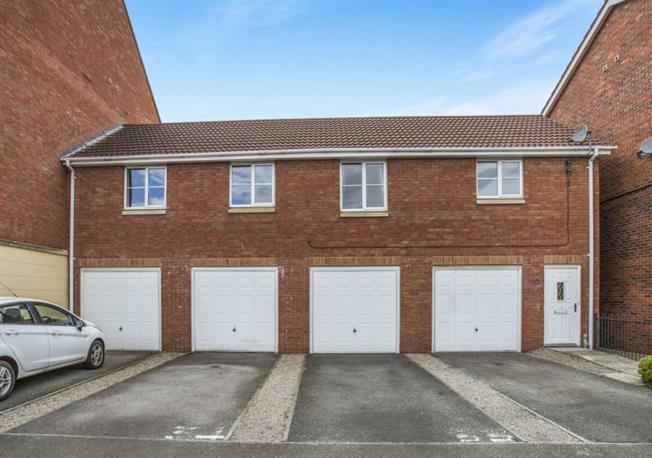 Externally there is a single driveway providing off road parking for one car which leads to a single garage underneath the apartment. Coningham Avenue is approximately 3 miles North of York city centre and has easy access to the outer ring road, Clifton Moor shopping park and the city centre. The property is offered with no onward chain.